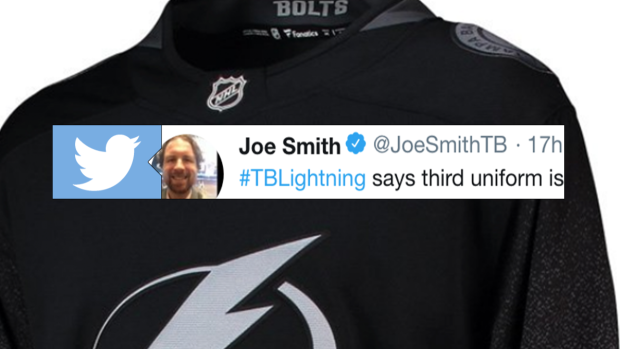 Leaked jerseys aren't always the final product and Tampa Bay Lightning fans are hoping that's the case for their team's third jersey. On Tuesday, Tampa Bay's alternate sweater leaked (along with Toronto and Los Angeles') and it wasn't well-received by the hockey world to say the least. Of course, this news was met with some witty responses on Twitter from fans, but at least it's somewhat encouraging to know the final product could be different. There needs to be a lot of work done on said design. after this pic that is a great answer!